A mod that replaces the roughspun tunic & footwraps you get from the vanilla start, w/ normally unobtainable grey robes, and a pair of black boots. With that warning out of the way, this mod replaces the Roughspun Tunic and the Footwraps you get at the vanilla start of the game, when you begin as "The Prisoner," with a set of "Grey Robes" (which are unobtainable in-game, unless you use console commands), and a pair of black boots, which I thought went best with them. No real reason, other than the fact that my favorite colors are black, and grey. Click "Download With Manager" and install, and activate as per usual. Click "Download With Manager" and install as per usual, and override when prompted? Unsure, as I don't use Vortex. Click "Download With Manager" and install as per usual, and override when prompted? Unsure, as I don't use NMM. I, honestly, cannot offer any real suggestions on where to place this in your load order. 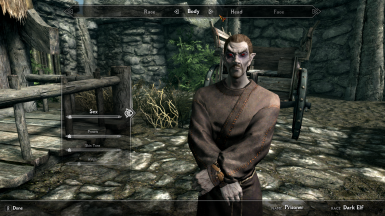 Each Skyrim load order is unique, and highly tailored, and honestly, only you, the player, know where best to put your mods to get the effects you want in your games. If you have any doubts, let LOOT - Load Order Optimisation Tool do its job (it's what I do). This mod SHOULD be compatible WITH anything that does NOT replace the STARTING CLOTHES (Roughspun Tunic & Footwraps) you get at the vanilla start of the game. As this mod only modifies the prisoner clothing you get at the vanilla start of the game, and contains only vanilla assets, it will adhere to any remodeling and/or re-texturing mods you have installed. This mod is NOT compatible with Better Starting Clothes﻿, as they they do similar things. 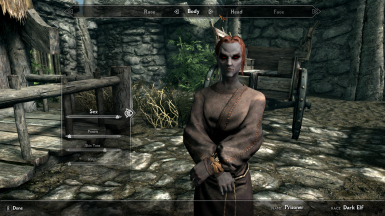 This mod is NOT compatible with Better Starting Clothes - Fugivite From Cyrodiil﻿, as they do similar things. Incompatible with NMM? This is an ESP file that has been flagged as an ESL, and I am not familiar enough with NMM to know if it supports Light Masters Files. 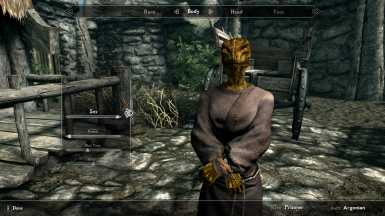 This mod has NOT been tested with alternate start mods. As I do not use alternate start mods, myself, I cannot attest to how this mod interact with them. This may MAY conflict with other mods that overhaul the Helgen introduction sequence. This mod was created in the SSE Creation Kit, with SSE CreationKit Fixes. 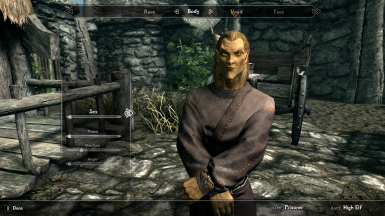 This mod is an ESP that has been flagged as an ESL, through the use of the latest developer version of Wrye Bash. 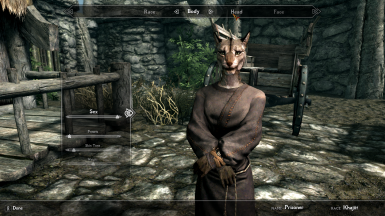 I consider this a cheat mod. It provides the player with access to a set of clothing that is unobtainable in-game, unless spawned in by console commands, or is placed into the game by another mod.